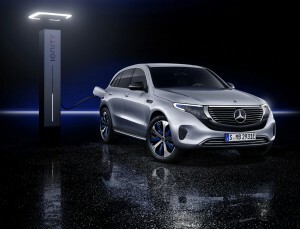 The Mercedes-Benz EQC is out as its maker just unveiled the electric crossover in its EQC400 4MATIC guise. 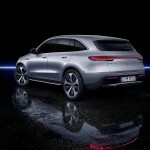 The launch of the first fully-electric vehicle from the Mercedes EQ sub-brand happened on September 4, 2018, in Stockholm, Germany. 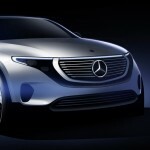 The Mercedes-Benz EQC400 4MATIC is powered by two asynchronous electric motors. The units have a combined output of 402 hp and 564 lb-ft of torque going to all four wheels. The top speed of the EV is electronically limited to 112 mph, and it can accelerate from a standstill to 60 mph in just 4.9 seconds. 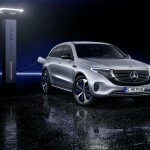 The EQC400 4MATIC has an electric range of 200 miles at full charge. That’s 100 miles less than the promised range of its concept. 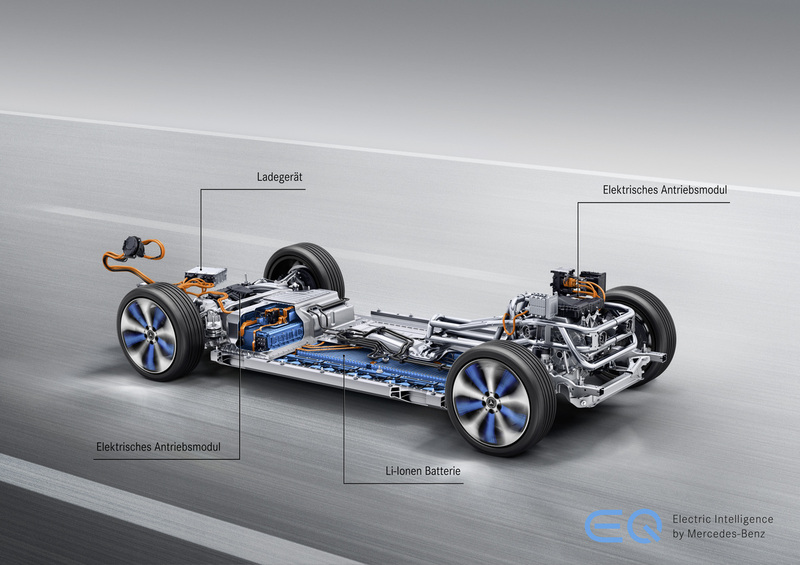 The lithium-ion battery of the EV can store up to 80 kWh. 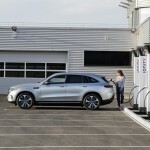 Using a DC fast charger, Mercedes claimed that it only takes 40 minutes to juice up the power of the battery pack from 10 to 80 percent. 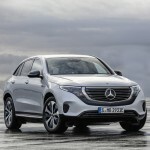 The Mercedes-Benz EQC is classified as a crossover SUV. 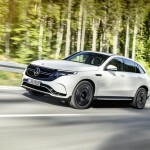 Shades of the Mercedes-Benz GLC and GLC Coupe can be seen in its design. 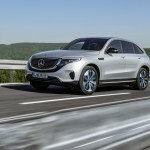 However, the new EV adopts the new “Progressive Luxury” design language of its maker, which has cleaner and smoother surfaces with well-sculpted panels that are free of the sharp body lines present in the current Mercedes SUVs. 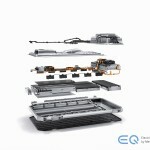 The electric crossover gets rid of the typical roof rails found in modern SUVs in order to maintain its clean look. Meanwhile, going around the vehicle reveals a coupe-like ridge on its roofing that certainly adds to its appeal. Moreover, the EQC introduces an LED band on top of its radiator grille that also bridges the DRLs and the LED headlamps. A red LED strip running across the liftgate and connecting the taillights can be found on its rear too. Further adding to its beauty is the set of wheels with blue spokes and rims. The wheels are available in sizes ranging from 19 to 21 inches. 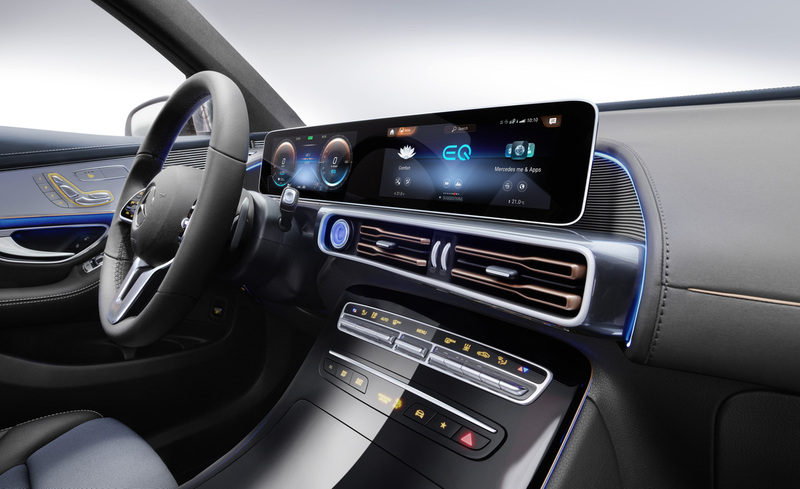 The interior of the Mercedes-Benz EQC mirrors the same level of luxury and tech found in the Mercedes-Benz A-Class Sedan. Rose gold accents adorn the cabin of the auto while its comfort elements are boosted by its heated leather seats. The main attraction in the EQC is its twin digital displays. Each screen measures 10.25 inches and joined by a single glass cover. 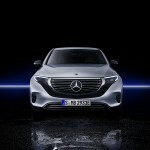 The infotainment system of the EV uses the Mercedes-Benz User Experience or MBUX interface. In a nutshell, MBUX functions like Siri or Alexa. It carries an artificial intelligence that can recognize and process voice commands. It takes note of the preferences of its user too. 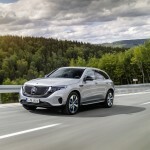 Mercedes-Benz is set to unveil its highly-anticipated Mercedes-Benz EQC all-electric car in a grand event in Stockholm at 6PM UK time on Tuesday. 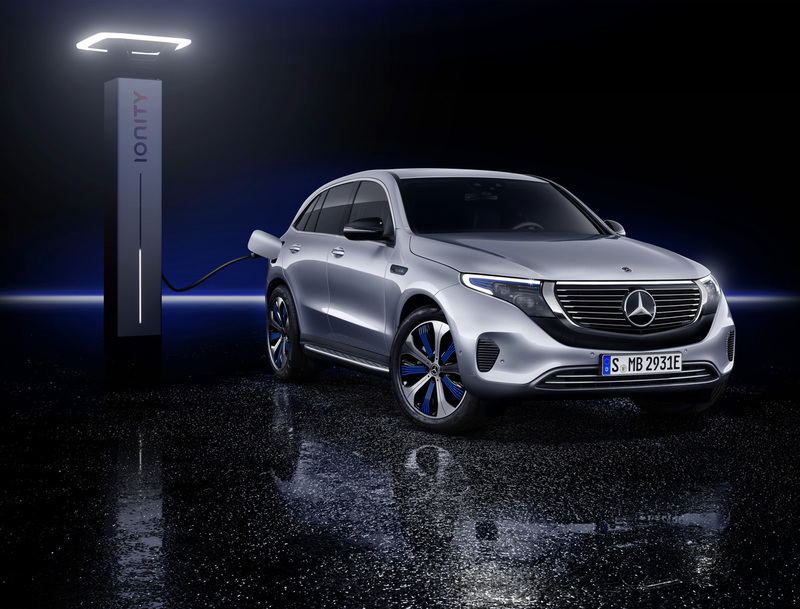 Though it won’t go on sale until next year, the German automaker is hoping to wow the industry with its foray into the all-electric realm. 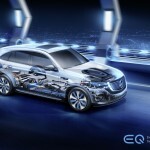 The EQC is a battery electric operated vehicle that signals the first model from EQ, Daimler-owned Mercedes’ new product and technology brand. 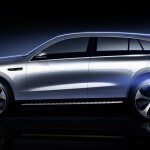 The company has not released full images of the production version of the vehicle ahead of the launch. 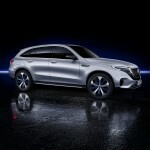 There are a number of concepts released in the past and several teaser images that led us to believe this is a medium-sized SUV with coupe-like styling. 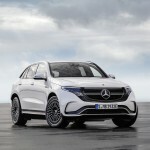 Mercedes first unveiled the EQC all-electric car as a concept in a technology forum at the Paris motor show almost two years ago. 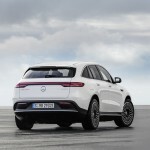 Back then, the German brand said that the EQC will feature a 70kWh lithium-ion battery pack that provides a range in excess of 300 miles. As with electric cars, the competition begins from the range capacity. 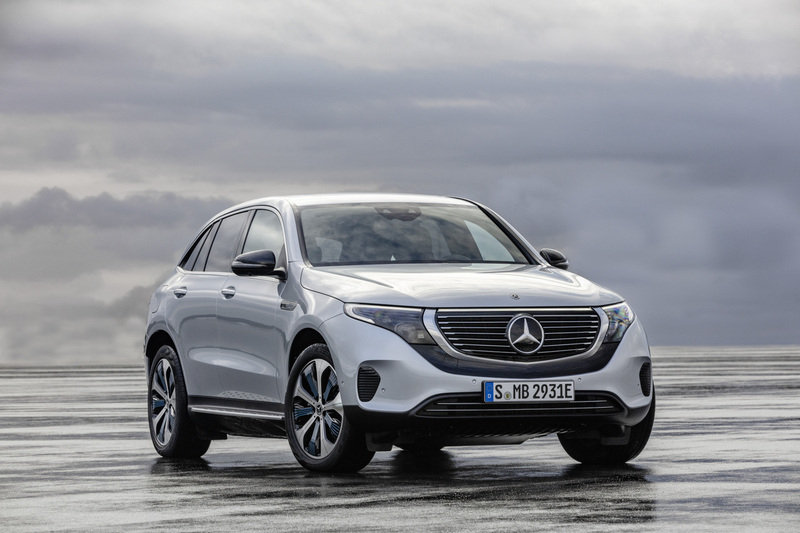 The EQC with its 300-mile-plus range would put it in the competition of Elon Musk’s Tesla. In a teaser trailer, the EQC was shown to have a rear light signature that looks like a folded staple with the front one looking like a slightly open staple. 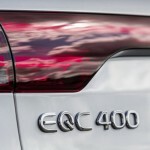 The EQC seems to have borrowed elements from the GLC at the rear. 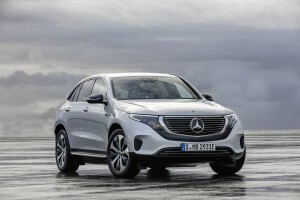 The side profile, on the other hand, looks like a large bulky SUV with a conventional shape that could make it a rival for cars like the Tesla Model X. 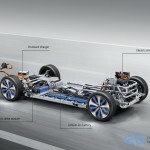 The car’s large proportions and the fact that the battery will be mounted on the floor will give it plenty of room in the cabin for at least five passengers. 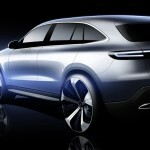 Based on the trailer, the interior will include the new MBUX display and infotainment system.